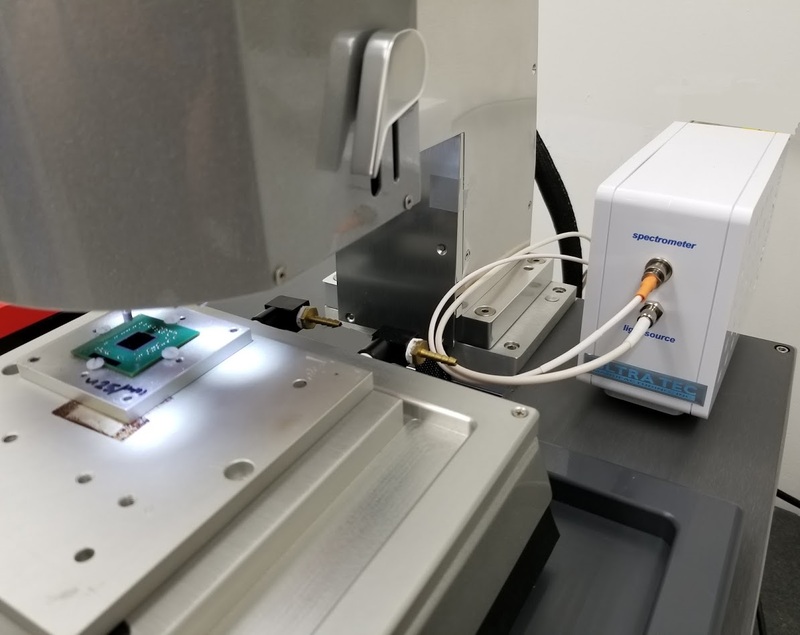 Based on a many years of customer input and product development, ULTRA TEC has delivered a single-footprint system that can incorporate an RST Measurement System --allowing measurement of the thickness of remaining silicon without sample transfer. 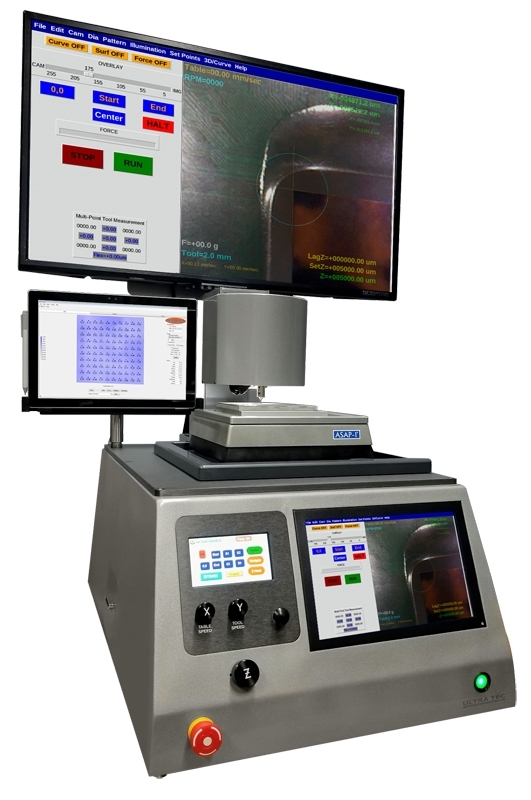 ASAP-1 IN SITU includes an entirely new OS, driven by a large touchscreen or mouse & keyboard (and even remotely), that allows for ultimate control of all process parameters -- helping to ensure decap, thinning and polishing success. 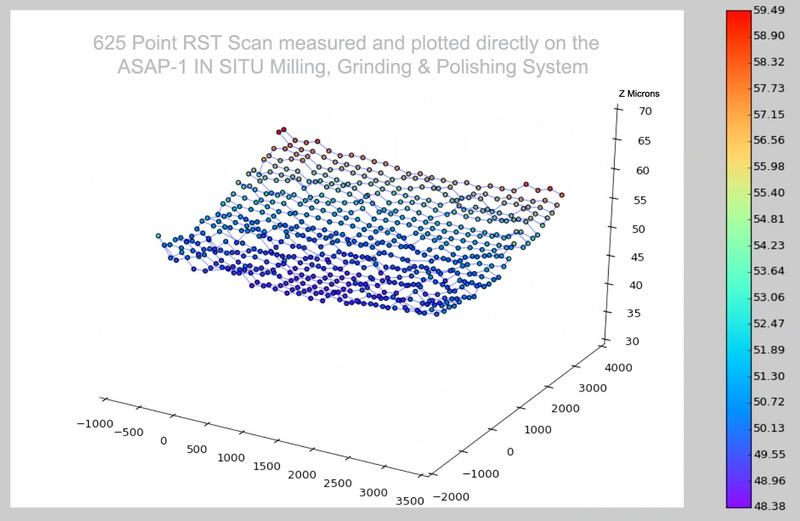 The System builds upon the machining specifications and modules available to ASAP-1 IPS, but adds a range of additional features, made possible by additional processing power and the addion of RST. CAM SELECT ON ASAP-1 IN SITU from ULTRA TEC Manufacturing, Inc. .
and RST/Microscope -- bring the ability to set, monitor and evaluate sample prep progress directly on the screen. Note: ASAP-1® is a Registered Trademark. Portions of the Technology are covered under US and related Worldwide patents - 6,630,369 ; 6,781,232 & 7,066,788. 3 more Patent Pending. Offers single or multi-point non-contact measurement (1280-1340nm) of silicon and other semiconductor substrates – measures down to approx. 10 microns RST. Adds a third 4K (UHD) Camera mounted at the RST Position.